White elephant gift exchanges are one of my favorite things. I always make it my goal to find a gift that will get the most laughs. I bought this tee a few years ago - and people cracked up and kept "stealing" it away from others - just so they could keep it. Also, you may not know when this emergency kit may come in handy. My husband loves doing projects around the house - so some of the best Christmas gifts have been a table saw and reciprocating saw. As far as clothes, he lives in his quarter zip sweatshirts (another option under $20) in the fall/winter. He layers them over dress shirts and polos. Love the gift ideas...I have never heard of a 'white elephant' gift exchange..well, we call it something else. I like your version better. 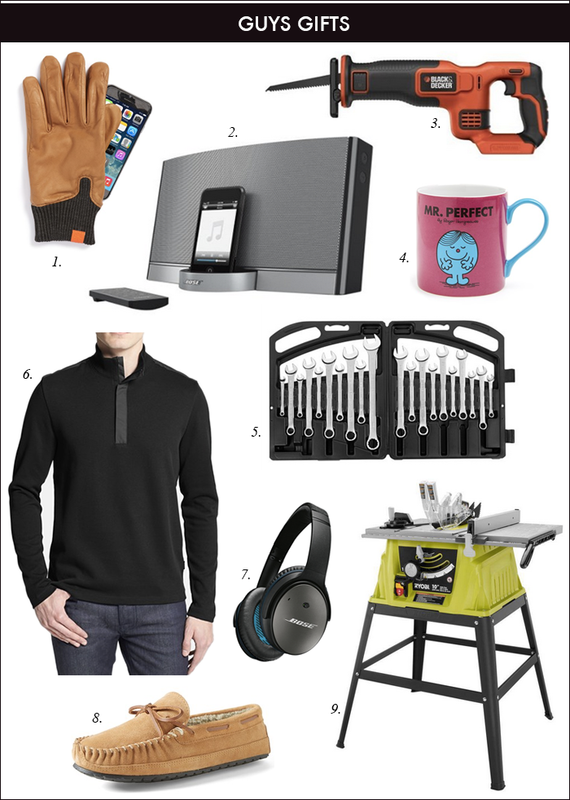 I have never been a fan of white elephant gift exchanges, but those are some really fun ideas! Thanks for posting some great gift ideas. Those white Elephant gifts are hilarious! I actually need that doormat ha ha! Hahaha!! I love the white elephant gift ideas! I think I should have a few of those parking notices in my handbag at ALL times to place on other vehicles! Love all of the white elephant ideas, super fun!! Your guys list has such great ideas too as I find it hard shopping for the hubby. Oh love the white elephant gift ideas, although I prefer white elephant exchanges when there is a mix of both good and goofy gifts. But all of those are hilarious! 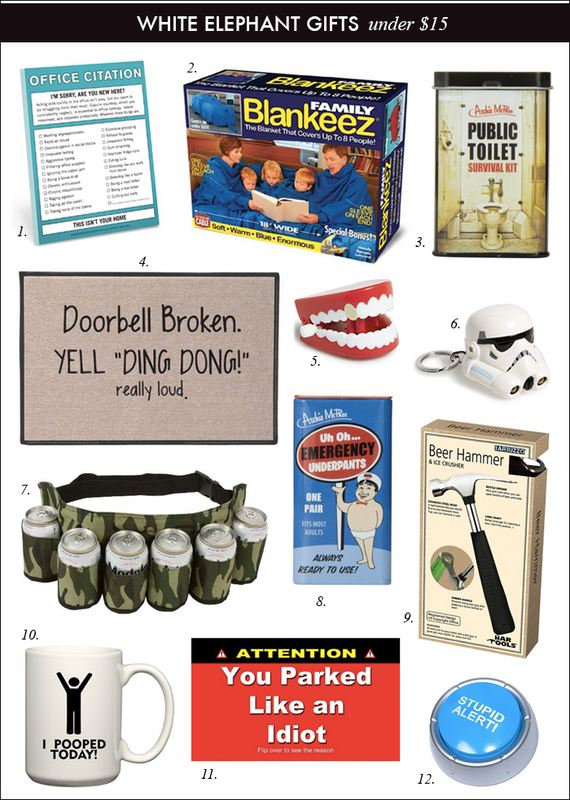 LOVE white elephant ideas and is it wrong I kind of want the parking notices?? So. Much. Fun. I could seriously use about half of your white elephant gifts, for reals. I practically call everyone in my family when I finally poop. TMI? That tee would be darling with a crystal statement necklace and leopard pumps. I have given the Family Blankeez to my daughter - she thought it was adorable. Thanks for some good chuckles. And your guy gifts are great, too. Those are perfect white elephant gifts. I need to get that mug for my brother! LOLing at the doormat in the white elephant section!! Haha! These are the best White Elephant gifts! I love the camo beer holster! Love the awesome white elephant suggestions! Those gag gifts are perfect. I quickly told my husband I found his Christmas gift. Ha! Thank you for these ideas! I'm always at a loss gifting my husband as he never seem to need anything. Have a great rest of the week!